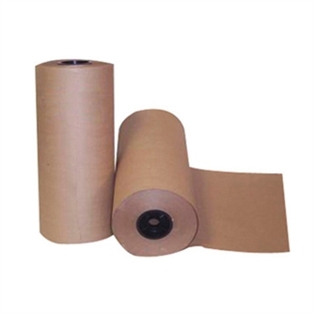 The multipurpose kraft packaging paper, 1,200' x 24", is a roll of 100 percent recycled, unprinted, 30 lb. 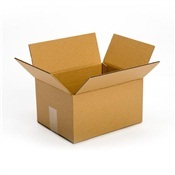 basis weight paper with the traditional kraft color for wrapping or protecting package contents during shipping. This paper comes in a continuous sheet wound on a 3" roll to allow cutting to custom sizes. The 30 lb. 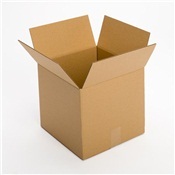 basis weight paper can be used for interleaving between items to protect against scratches, or crumpled for an economical void fill for the empty space around the contents of a box. This roll provides 1,200' of 24" wide paper packaging material for commercial applications.